Once integrated into the professional business world, email becomes second nature. Communications are synthesized through these messages and it can be quite repetitive. The constant emailing causes some to become less formal in their communications, and it is easy to commit electronic etiquette snafus. Common errors in your emails may give the wrong impressions to your colleagues and clients. Also, what you are trying to portray can be interpreted differently by your clients on the other end. No matter what brownie points you gain around the office, they are all null if your digital communications are not up to par. 1. Do pay attention to the subject line. Write a clear, concise subject line that reflects the body of the email. Avoid subject lines with, “Hi,” “Touching Base” or “FYI,” and do not leave a subject line blank. 2. Do use a proper salutation. Remember “Hi” and “Hey” communicate a lack of professionalism and maturity. Begin your email with phrases such as “Good Morning,” “Good Afternoon,” “Good Evening” or “Hello.” “Good Day” or “Greetings” are other phrases used frequently in the international arena. 3. Do use an Introduction. In direct cultures like the U.S., the best practice is for the sender to introduce themselves by first and last name with some background information in the first few lines. For example, “Dear Ms. Mandell: My name is Sharon Schweitzer, founder of Access to Culture; I was referred to you by …” or “My name is Sharon Schweitzer and I am an International Business Expert writing to you about …” This is especially important when introducing yourself to new contacts, potential customers, clients and employers who want to know how you received their contact information. 4. Do know the culture. When sending email to people from indirect cultures, it is proper protocol and a best practice to research country customs. For example, in Japan it is polite, appropriate, and customary to inquire about the weather in the first sentence of a business email. Contrastingly, it would be inappropriate to send an email introducing yourself to a potential Japanese contact. In indirect cultures, introductions are only made by mutually respected third parties due to custom; cold emails are ignored, deleted, blocked and/or marked as junk. 5. Don’t include humor and sarcasm. Emails can easily be misinterpreted through text without context. Humor is culture-specific. Avoid both humor and sarcasm in e-mails as the recipient may be from a different culture and may be confused, or worse, offended. 6. Do double-check your attachments. When you attach a file, be kind enough to take a few extra seconds to paste it into the body of the email as well. This shows consideration to the recipient, by saving them time and risk in opening attachments. Is this more time consuming for you? Yes. Is it worth it? Yes. 7. Don’t hit “reply all”. Avoid Using “Reply-to-All” unless everyone needs to know. When the C-Suite (CEO/COO) or administrative assistant sends an email to 10 staff members requesting volunteers for a community service project, reply to the admin, not to all 10 members. Why make ten others delete your email? Reply-to-All is a function for ongoing deliberations on a particular subject. Replying within 24 hours is common courtesy. Leaving someone hanging for any longer and you are not only perceived as rude, it could cost you business in the long run. If you’ve unintentionally kept someone waiting longer than 24 hours or extenuating circumstances arose, politely explain the situation and express your apologies. Those little blinking icons are for text messages. They are inappropriate and unprofessional in a business email. Emoticons may divert email to a spam filter or junk mail box. And, it looks very immature and unprofessional. Email is public. Even though an email is deleted, online services and software programs can access messages on the hard drive. Before you click “send” consider what may happen if a business colleague, your competitor, an employer, the FBI, or any unintended recipient reads your email. Think of it this way: how would my email look if it were posted on Facebook? It’s inappropriate to email negative comments. Negative or antagonistic words are referred to as “flames” in cyberspace. An email in all uppercase letters connotes anger in an email. These antagonistic messages cause awkwardness long after the email has been sent and received. If you must relay bad news via email, use objective words and state the facts. Face-to-face communication is best when relaying bad news. Check and recheck for spelling and grammatical errors. These errors look unprofessional and reduce the likelihood that the email will be taken seriously. Email software comes with many professional tools such as Spell Check. Use them. 13. Don’t forget the conversation closer. By letting the recipient know that a response isn’t needed, the email cycle doesn’t continue on in perpetuity. Close with “No reply necessary,” “Thank you again,” “See you at the board meeting Tuesday,” or “Please let me know if I may be of further assistance.” End your email with a closing such as “Best,” “Best Regards,” “Sincerely,” “Thank you,” or another appropriate phrase. Aim to create concise and cohesive thoughts in your business emails. Keep the personal chats to a minimum and choose full sentences rather than slang. Proofread your emails to condense them for only the most critical information. If you feel the need to include more and more information, perhaps you opt to schedule a call. Ask for feedback from a colleague if you need to reign in your misguided professional emails. Most importantly, make sure your message is to-the-point with manners included. With the proper formalities and a succinct thought, everyone can stay on-message and get the job done. Remember that perception is different for everyone. What you think you are conveying is often interpreted differently by other people. 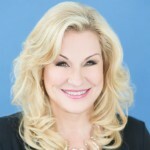 Sharon Schweitzer is an international business etiquette expert, cross-cultural trainer, and the founder of Access to Culture. She is the author of “Access to Asia: Your Multicultural Guide to Building Trust, Inspiring Respect, and Creating Long-Lasting Business Relationships“.